In theory, the term “all natural” should convey a glowing halo of wholesome goodness, with quality ingredients sourced straight from Mother Nature. In some cases, yes, this absolutely applies (like when we’re talking about asparagus or apples). 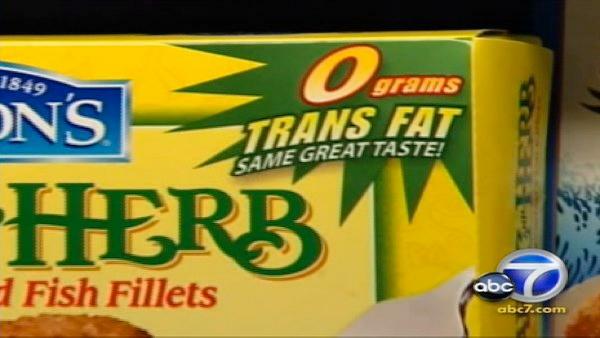 But far too often, “natural” has less than zero meaning, and the number of lawsuits against food companies proves it. The FDA has yet to define “all natural,” so companies can slap it on anything from potato chips to corn oil, even if preservatives or genetically modified ingredients were used. When in doubt, double check ingredient lists and lean toward using whole ingredients you recognize…like asparagus and apples, no labels necessary. You’d think zero means nothing, nil, nada, right? Think again. There’s a lovely sneaky clause that allows food companies to weasel in up to 0.5 grams of trans fat, and still market it as containing “zero” trans fats. May not sound like a lot, but serving after serving adds up. And when trans fats are clear culprits in raising “bad” cholesterol and lowering “good” cholesterol, that’s a definite problem. So re-read that nutrition label and make sure that “0” really is listed in the trans-fat line, and watch out for red flag words like “hydrogenated” in ingredient lists. Knocking sugar out of our diets is something most of us have attempted at one point or another. And yes, it’s a good idea to keep added sugar to a minimum and look to nature-made sources of sweetness. Too bad products claiming they’re sugar-free or have “no sugar added” are generally loaded with non-natural artificial sweeteners or man-made (manipulated) sugar alcohols, which can wreak havoc on a sensitive digestive system. The word “artificial” says it all. Choose the real deal when it comes to sugar or sweeteners (or treats that include them) like honey, agave nectar, maple syrup, and fresh fruit juices and purees…and keep their amounts on the lighter side. Myth: Bulking up on protein will help you get into buff shape and melt away excess fat. Fact: Too much of anything, even if it’s healthy, isn’t always good. Too many calories overall, and you can kiss that buff shape goodbye; too much protein, and your kidneys can go into overdrive. When it comes to food products touting “high-protein,” the source of protein is often from a manipulated, processed form of an ingredient, like soy protein isolate. Most of us get more than enough protein in our diets, so stick with simple sources like fish, eggs, nuts, organic tofu, beans, and quinoa. Somewhat like “high-protein,” high-fiber products are often boosted with doses of processed forms of fiber. Added “functional” fibers like chicory root fiber, polydextrose, and oat fiber don’t necessarily have the same impact as naturally occurring fiber in foods, and may cause bloating and gas. Look to fruit, vegetables, seeds, beans, and whole grains for your fiber intake and you’ll hit your recommended 25-35 grams per day without thinking about it, and without the stomach upset. The fear and loathing of carbohydrates that has taken hold of health-minded individuals has allowed food companies to run rampant with new “low-carb” products like bagels, brownies, muffins, and more. Most of these items however, contain high amounts of artificial sweeteners and/or processed sources of fiber–which isn’t exactly health-minded. The thing with carbs isn’t to demonize them. It’s about eating them in smart quantities and from quality sources. You’ll fill up faster on less, and will be more satisfied and happier. This might just be the “health claim” of the moment right now. Food items that are marketed as “gluten-free” are by law void of gluten or wheat, any ingredient that would potentially cause digestive harm to someone with Celiac disease or a severe wheat/gluten allergy. What these products aren’t free of, however, are calories, and they often contain quite a lot of them. If you don’t have a specific condition, like Celiac, going gluten-free doesn’t necessarily mean you’ll lose weight. That said, lowering the amount of gluten or wheat you consume may increase your energy levels or help you feel better digestively, but keep an eye on how much gluten-free bread, cookies, cakes, and chips you eat. Just because they’re sans gluten, that doesn’t give you license to eat with abandon. Look for healthy carbohydrates that are naturally gluten-free, like rice, potatoes, sweet potatoes, beans, and quinoa. Grabbing an “organic” item in the grocery store doesn’t mean you’ve hit a pot of calorie-free gold. Organic cheese puffs, ice cream, and chocolate-creme cookies do not a balanced diet make. Organic is defined as any item with at least 95 percent organic ingredients–no hormones, genetically modified ingredients, additives, antibiotics, or radiation. But aim to focus your “organic” attention on items that should appear in your diet frequently, like grains, fruits and vegetables, specifically those with permeable skins. By no means are we aiming to slam amazing-for-you heart-healthy omega-3 fats. What we are trying to call out are all the excessive claims on products with “added” omegas, from tortilla chips to eggs and yogurt. If it doesn’t come inherently from nature, it’s still unclear how our bodies will respond and metabolize it. And if you’ve got a tortilla chip rich in omega-3s thanks to whole flaxseeds, unfortunately, you’re not getting very far. Flaxseeds need to be ground in order to reap all the benefits. Look for naturally occurring omega-3 fat sources like avocado, ground flaxseed, walnuts and other nuts, and olive oil.